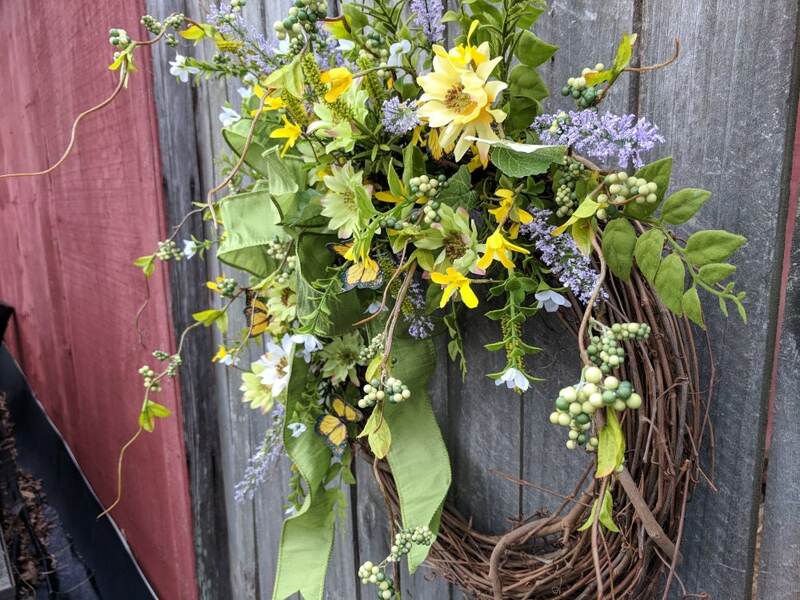 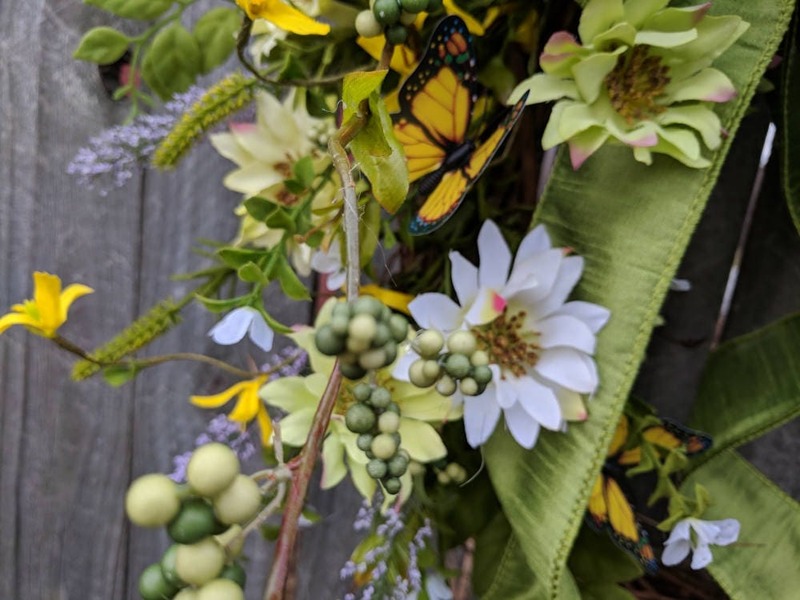 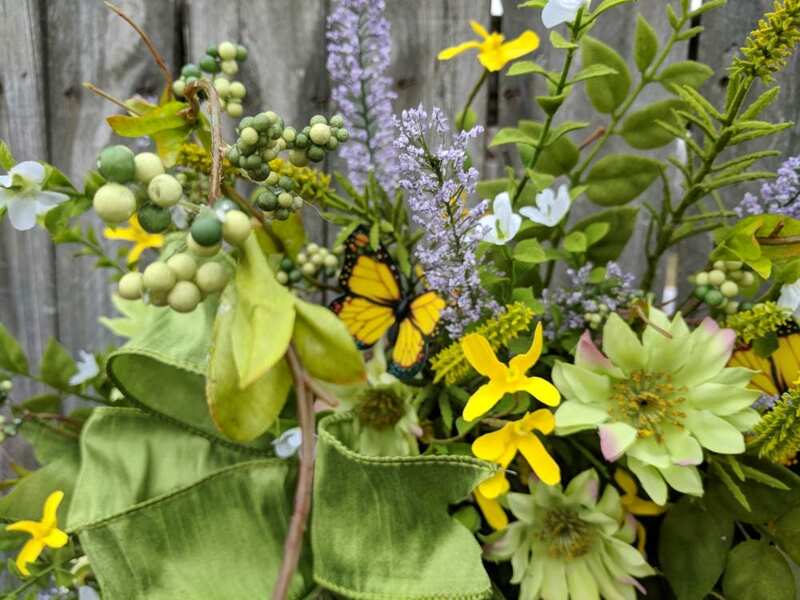 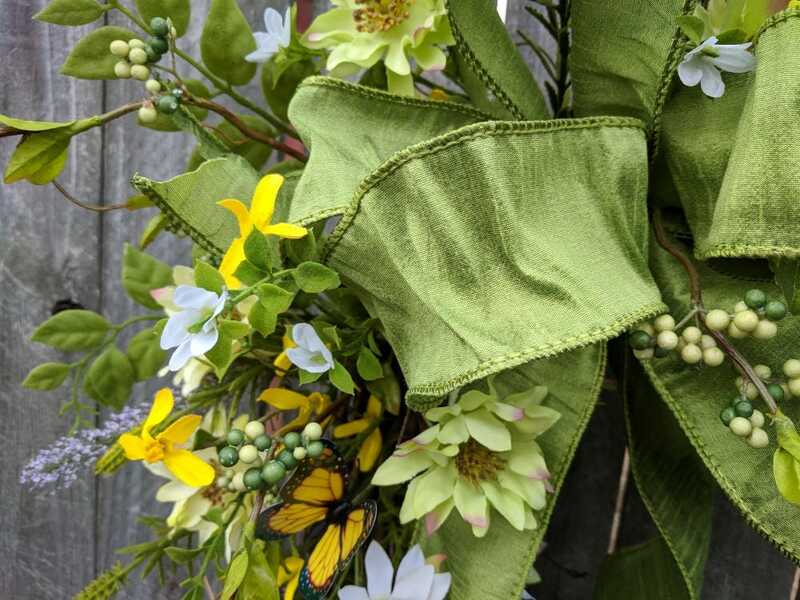 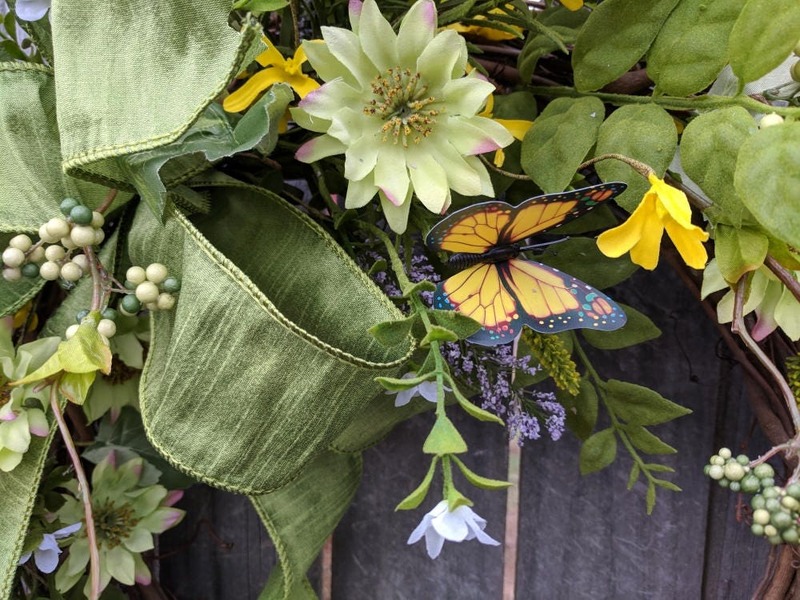 This beautiful spring wreath is characterized by a wild elegant green wired bow, butterflies, wild berries and forsythia. 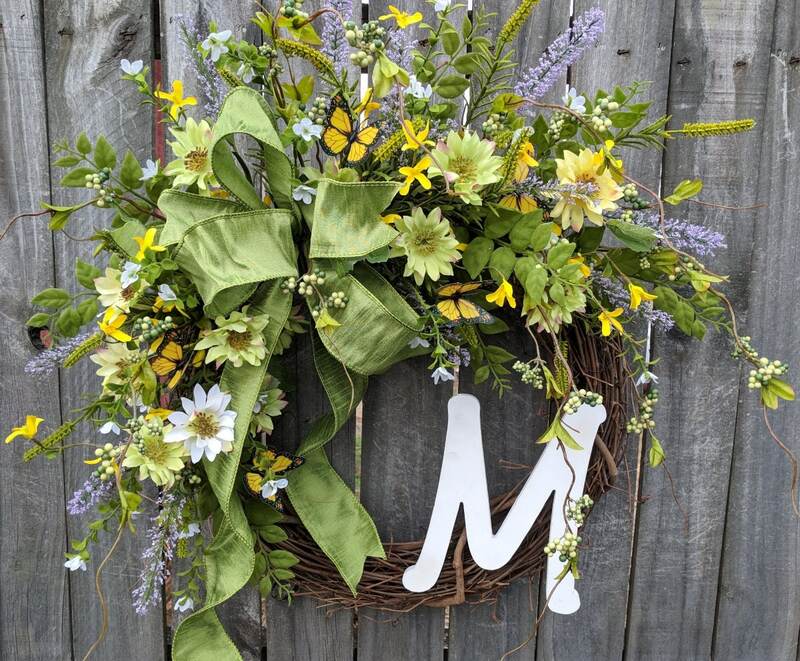 This wreath is perfect to welcome spring and use all summer long! 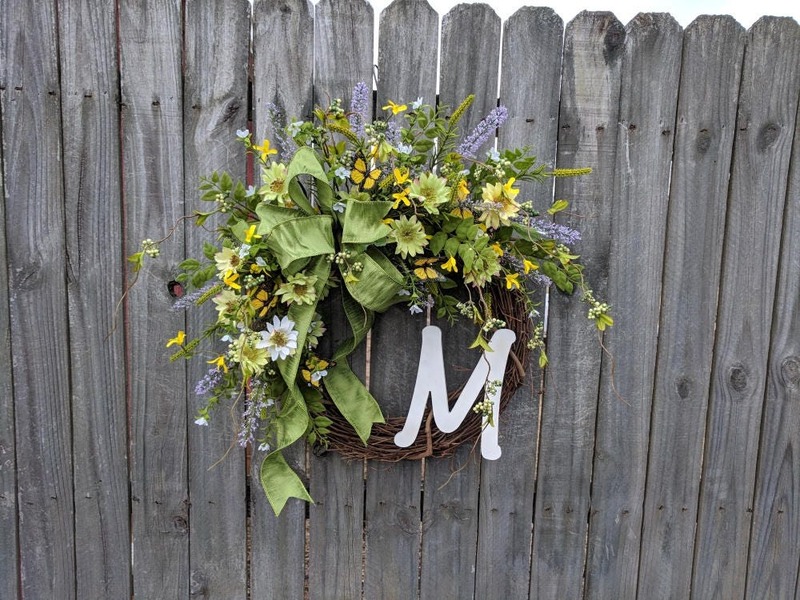 This wreath's ferns and blooms are airy and have some grapevine showing through. 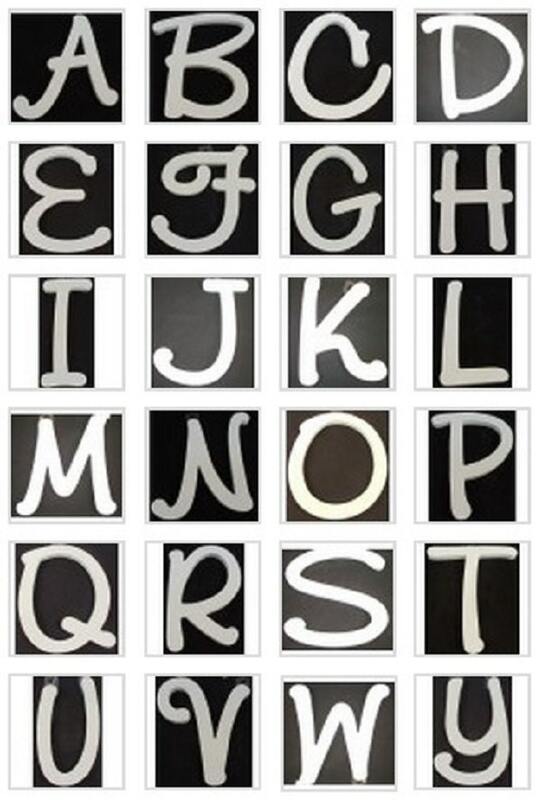 A white wooden letter adds a personal touch.